Truth be told, I never expected that traveling abroad could be this fun! Days before my trip, I feel anxious because I might get lost on a foreign land or get mauled by someone. Just thinking of it makes me want to just cancel the whole trip. Add the fact that the weather during that time was really bad. Well, fast forward - I passed the initial screening of the immigration by answering several billion dollar questionssssssss of the officer, boarded the plane and experienced severe turbulence all throughout the flight. Two hours later, we finally landed on a foreign land. Foreigners, at last. 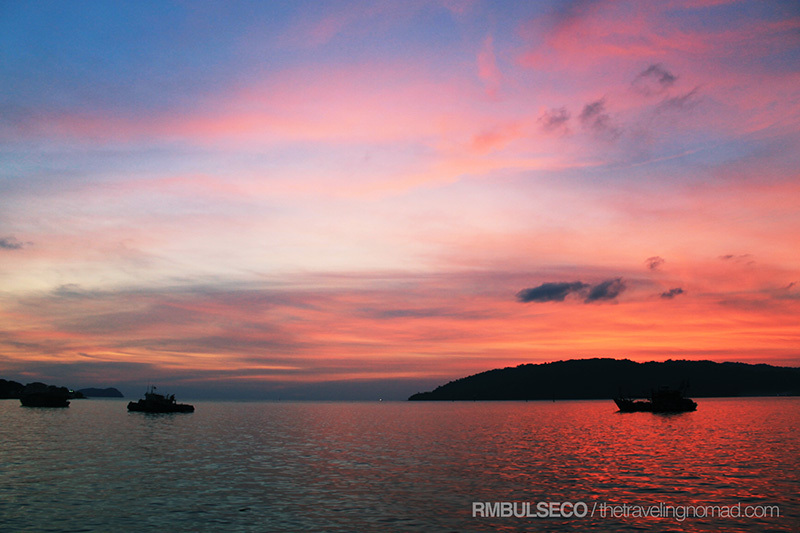 The first 30 minutes in Kota Kinabalu was surreal. And for the first time, I got lost in translation. People their speak Bahasa Malaysia and I didn't understand a single thing... well except for a few words like dua (two), lima (five), buka (open), tolak (push), tarik (pull) and jalan (street). You know what? 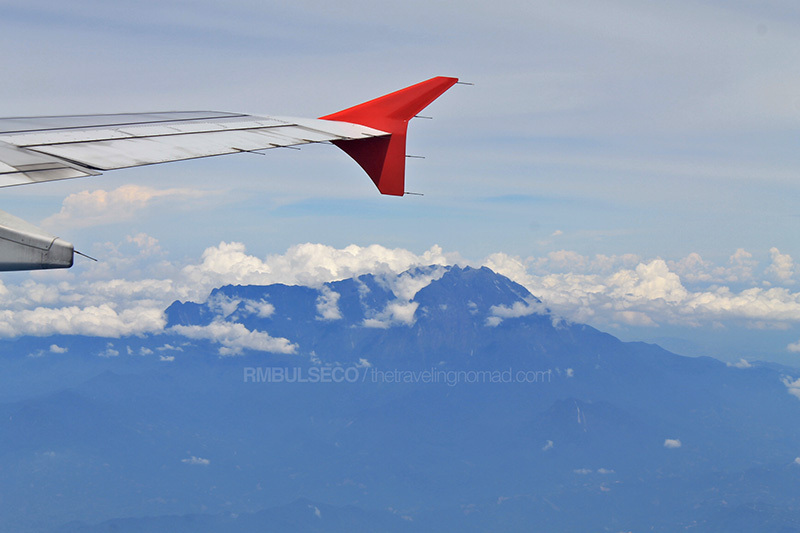 The best thing that happened in Kota Kinabalu is not about our experience of trying various Malaysian delicacies or our snorkeling adventure at Tunku Abdul Rahman Marine Park. Don't get me wrong, I love Malaysian food (in fact, my ultimate favorite is Nasi Lemak) and I find TAR Marine Park to be one of the best diving and snorkeling spots in Southeast Asia. 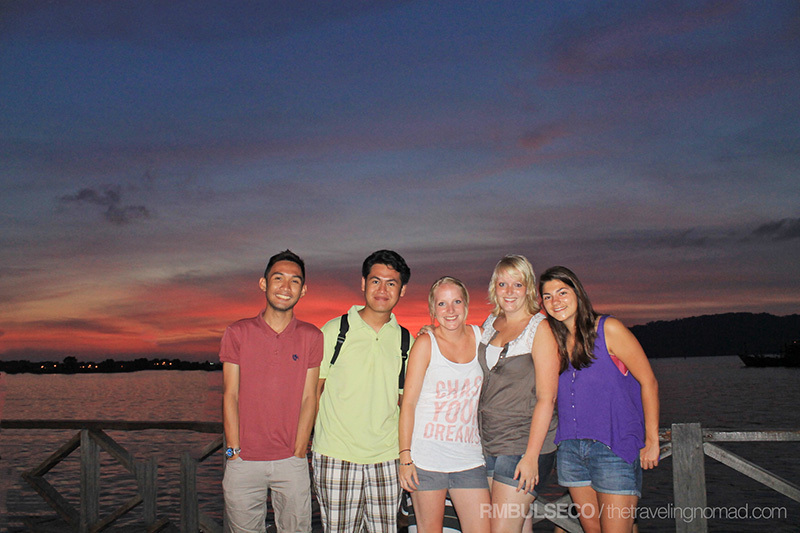 Well, meeting new people from the other side of the globe was the best experience I've ever had in Kota Kinabalu! We stayed at a very cozy hostel and met a lot of new people mostly from Europe. I began to digest all the things that they have shared about their country, their practices and the food they eat. Every night after dinner, we would end up talking and sharing about our beliefs and cultures until two in the morning. Well, we didn't mind at all! In fact, their stories were so interesting and inspiring at the same time! I'm going back to the Philippines a few hours from now and I feel sad about it. I am aware that this might be our last meeting together, but who knows? Maybe I might visit Spain and play ukelele and accordion again with Alberto and Jaime. Maybe I'll eat sprinkles with Janna and Evelien at Holland and reminisce those funny moments with the monitor lizards of Sapa Island. Maybe I'll eat more Chinese food with Cho. Maybe I'll be once again enamored by Sophie's sweetness. Maybe I'll travel with Diego, a Swiss man who's three years younger than me, and brave the wild forests of Asia. It was such an amazing experience and I am looking forward to meet them soon. In traveling, it is easy to let go of the beautiful moment because I know the adventure continues. There will inevitably be more to appreciate once you disembark the plane. In everyday life, leaving a moment you loved is really hard, most especially if you're headed back to reality. We often fail to realize that waving goodbye to a beautiful experience allows us to say hello to a new one. We may not have an idea what that might be, but there's something good ahead of us if we start to embrace new experiences and learn to appreciate every bit of it. Nonetheless, my first out-of-the-country trip was a memorable one. I look forward to meet new people in my future trips, be local or international! Terima kasih, Kota Kinabalu! Terima kasih, Malaysia! 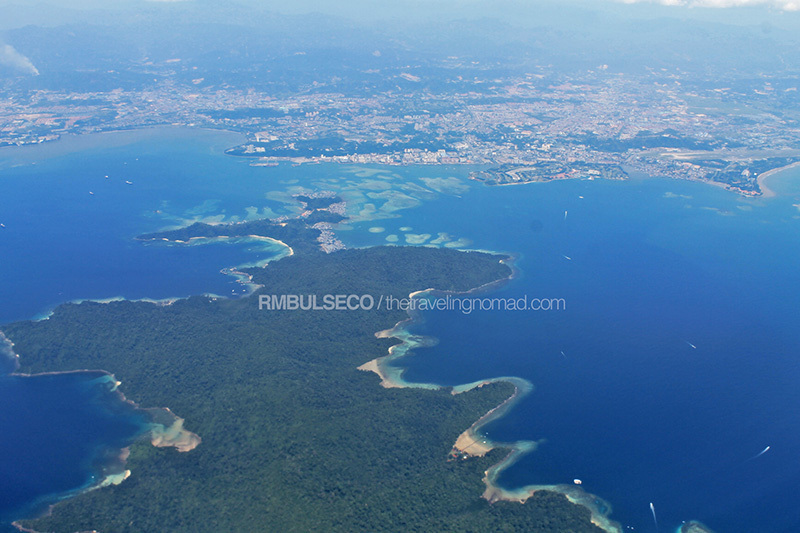 Read more of my Kota Kinabalu stories here! Ganda ng aerial shots Renz specially the first... 2k ticket wow! hindi ba hassle pagpunta sa clark? 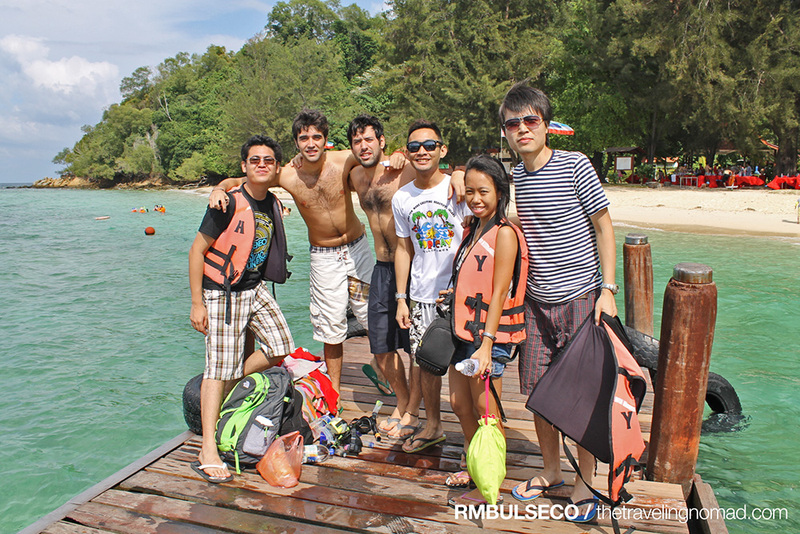 The people you meet on the journey, that's make a travel worth remembering. Oonga eh, the people you meet on the journey... sila ang reason kung ba't memorable ang trip. I really thought they're snob and all... pero they were SUPER FRIENDLY and open minded. I love talking to them about Philippines and all those stuff. Woot! I also went there last June, it was so bitin! Now I'm itching to go there again and least go Mt. Kinabalu Park! P2,000 lang pamasahe mo?! Swerte ha. Hoping for more out of the country travel for you. Reading several parts of your KK adventure had been fun as well as you've documented them well. Thanks Franc! I wrote some important details on my travel notebook, making my KK Series a well-documented one. :) Thanks for reading! I yearn for travel experiences such as this, Renz! I am but a very shy gal, so I've only tried meeting up just recently (first was with Edmar of Edmaration.com).. Hope that I could also exchange travel stories with like-minded people like the friends you've met in KK. I have but a few questions though.. why were questioned at the immigration (was this in Clark?). What were you asked? Yep, exited the country via Clark International Airport. Sobrang daming irrelevant questions like: "BS Bio grad ka from UP, eh bat hindi ka nag medicine?!" :OKAY: HAHA Hoping to meet you along the road! It's always sad to say goodbye to friends and even new found friends. char. Kaya pala palagi nalang airport scenes ang ending ng mga friendship(the reunion) and romcom(spellbound) movies coz the airport can be a really sad place. ganon!? hala!!!! Napahala ako dun sa #6 photo mo. Nice aerial shot there. Renz, I really love this blog of yours. I am planning to include your blog at my future blog post re: travel bloggers and their blog. I am one of your biggest fan buddy. Great KK experience for you! Cheers to more out of the country adventure for you and also for more new found friends. Ang Ganda po ng mga kuha mong pics! KK is very enchanting and it's even more inviting to visit with the wide aerial shots you did. love the first picture. and yes first out of the country trip are priceless. Meeting a lot of people especially of different race is what I love about traveling :) Keep it up guys! I did not know KK was this progressive...it looks like Davao in the late 90's. Do they have skyscrapers there too? 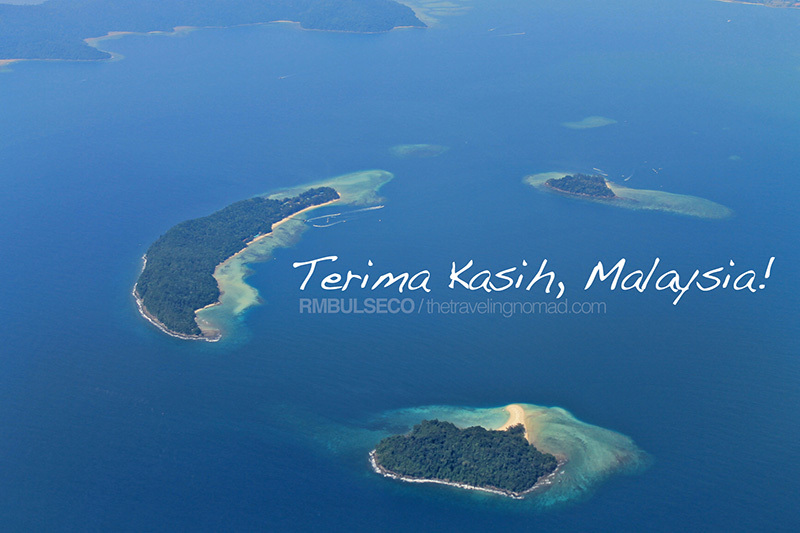 What is Gaya Island and Terima Kasih?